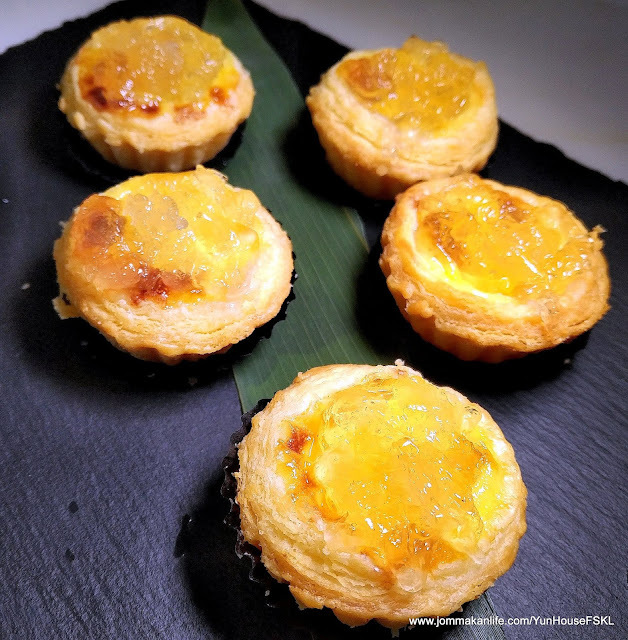 Egg Tarts with Bird’s Nest aren’t your average birthday cake but the lady being feted was more than happy to savour them. Delicate and feather-light, the buttery, flaky baked pastries filled with eggy-rich custard and blobs of bird’s nest were a heavenly sensuous treat. 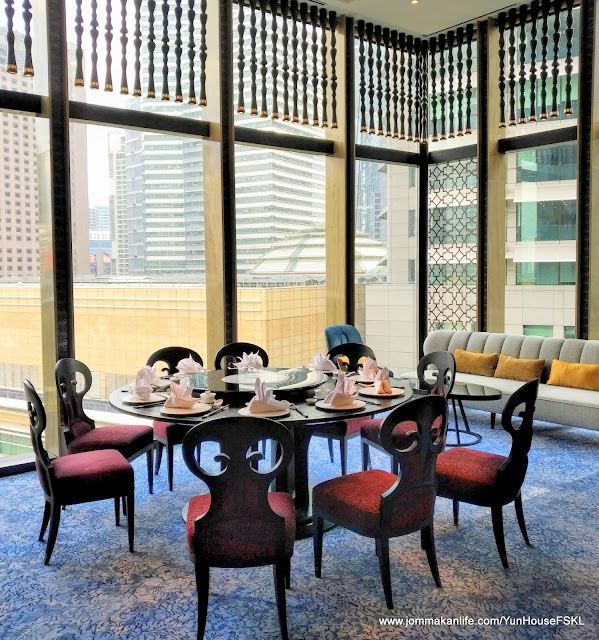 Our recent lunch at Yun House, graciously hosted by Director of Community Relations Dato’ Rosemarie Wee, was much anticipated as the elegant restaurant is KL’s most sought-after Chinese cuisine outpost — the place to see and be seen at. 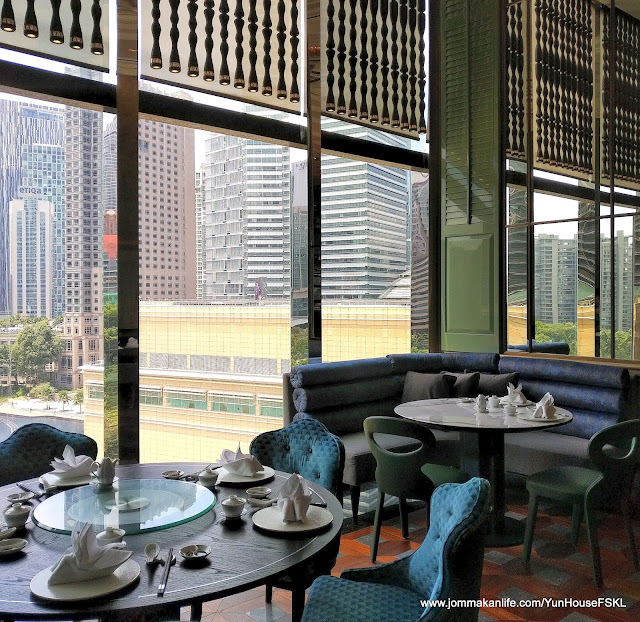 True to its namesake, Yun meaning "park" in Cantonese, the restaurant boasts dramatic views of the lush KLCC park. 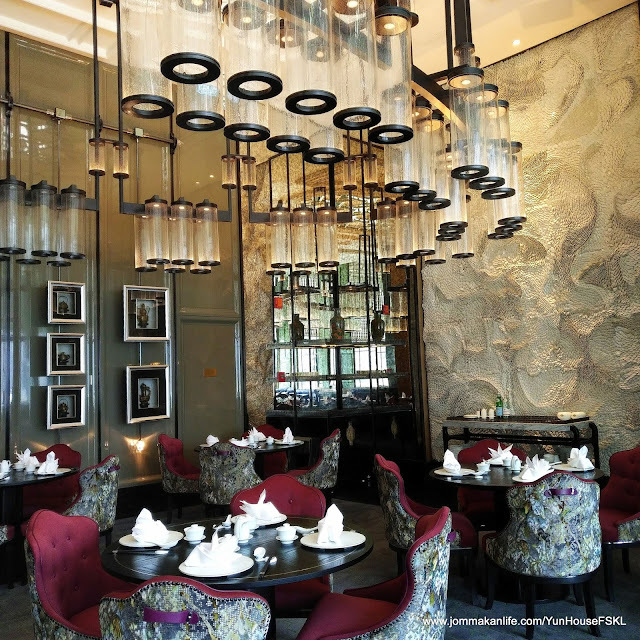 Currently hailed as Kuala Lumpur’s premier Chinese restaurant for lunch, dinner and drinks, Yun House is a refined haven where time-honoured Cantonese cuisine infused with a modern attitude rules. 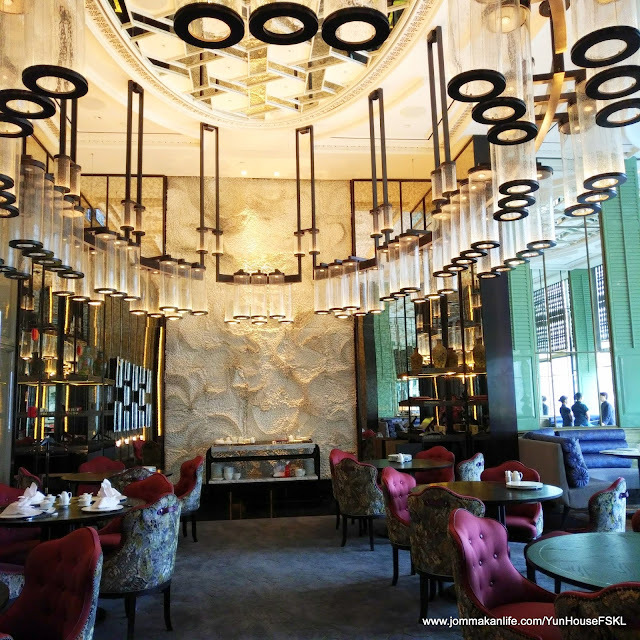 Anchored by the richness of local pewter craftsmanship and the thought-provoking spaces of the contemporary art world, Yun House's interior proffers a visual feast; teaming an eclectic mix of classic Chinese decorative elements with edgy Chinoiserie furnishings that push modern design boundary. 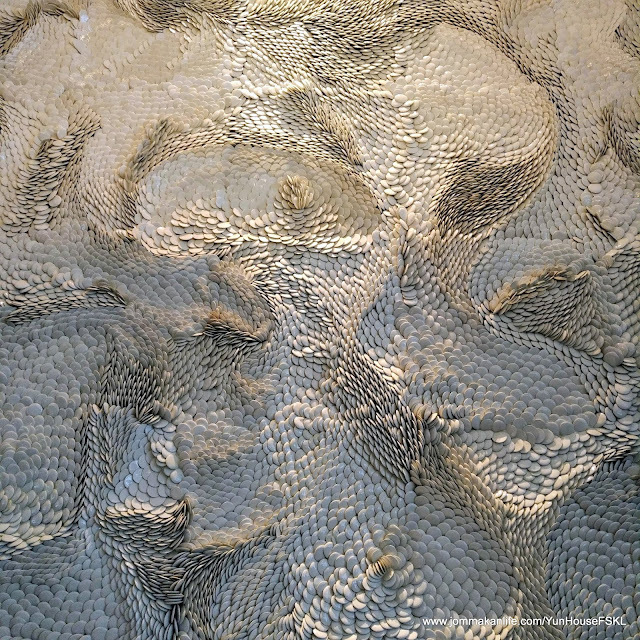 Just the main show-stopping feature wall alone will stop you in your tracks: a huge, painstakingly hand-assembled art piece that took the artist six months to assemble — a breath-taking masterpiece of 22,000 ceramic pieces. When viewed from different angles, the stupendously fluid, bespoke creation has been interpreted as a hidden dragon, a rising phoenix, foliage swirling in the wind or swathes of eddying clouds. 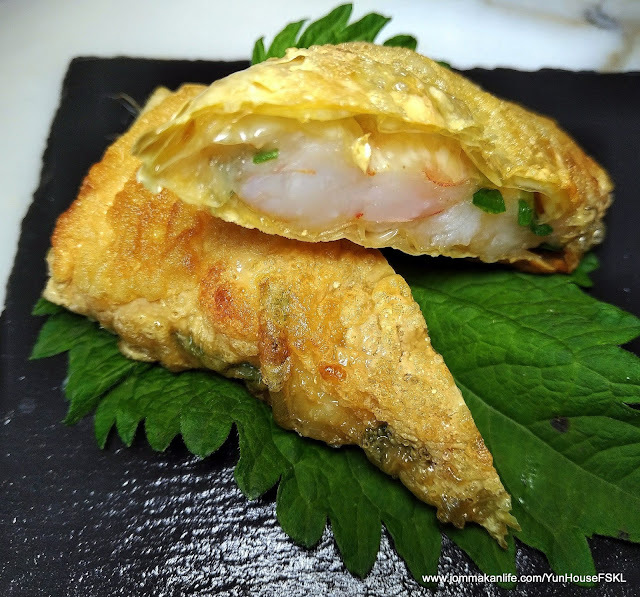 Helmed by award-winning Hong Kong Executive Chinese Chef Jimmy Wong, the restaurant has also garnered favourable reviews for its remix of traditional ingredients and age-old recipes, impeccably prepared and presented in a re-imagined contemporary setting. 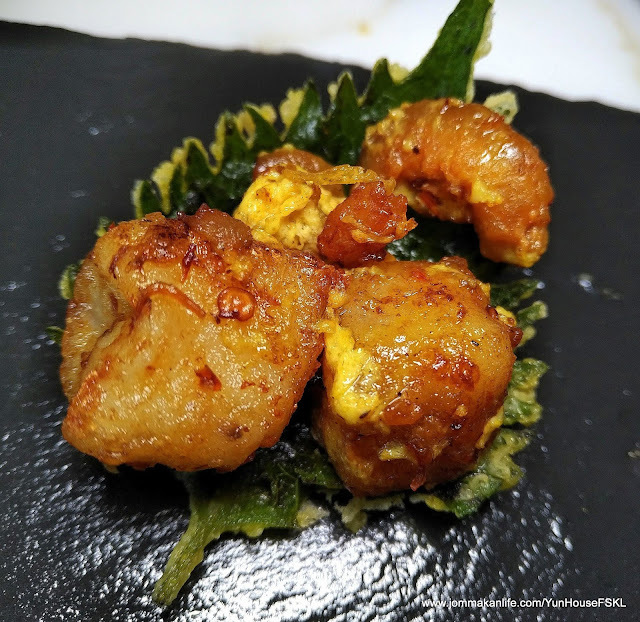 Our "jaat dhai" (sweet-spicy vegan roll of compressed beancurd sheets) amuse bouche and Deep-fried Fish Skin with Salted Egg Sauce appetiser underscore that 'something old, something new' approach. 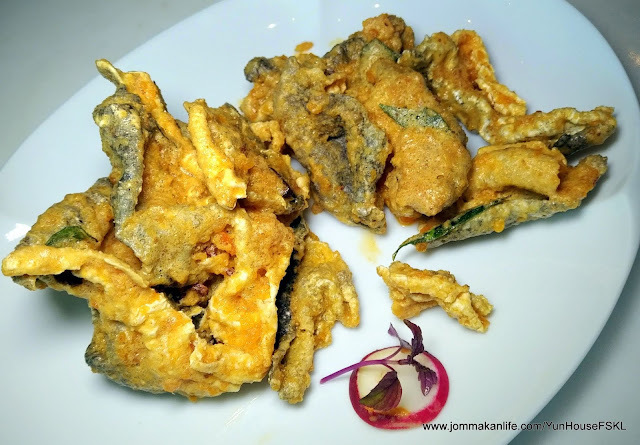 Riding on the current crispy fish skin snack craze, Chef Jimmy proved his mean version can 'slay' the mass produced ones without batting an eyelid. Not only are the fish skin ‘crackers’ much bigger but also crunchier; each piece thoroughly coated in savoury salted egg sauce minus artificial additives and preservatives. 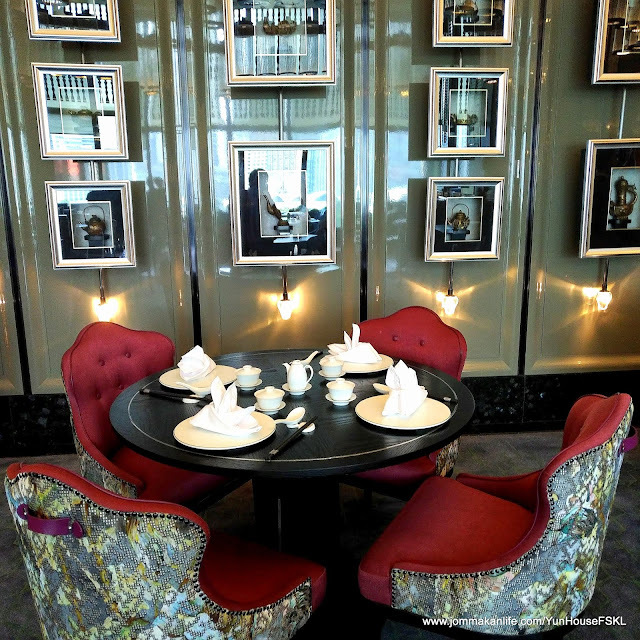 For lunch, there’s a choice of a la carte Dim Sum or Set Lunches featuring Chef Jimmy’s signature specialities. 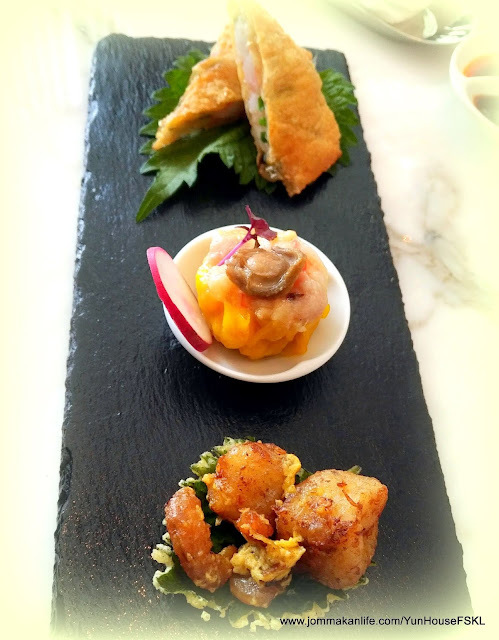 We had the best of both worlds, starting with a Dim Sum Platter from one of Yun House's Set Lunch menus. Presented on an elongated slate flatware, the chef’s choice of savoury morsels: Wok-fried Carrot Cake with Spicy Scallop Sauce, Pan-fried Beancurd Skin Roll with Shrimps, and Steamed Chicken & Seafood Dumpling with Abalone was a sight to behold. The composition of contrasting and cohesive flavours, tastes and textures was distinctly nuanced to stimulate our gustatory senses, and a worthy testament to the culinary team’s flair and finesse. Soup is a requisite staple among the Cantonese. At Yun House, the soup du jour of Old Cucumber Soup with Fish Maw, Nam Hung (Chinese sweet almonds) and Chicken we savoured hit close to home, a heartwarming and salubrious broth we greedily lapped up without wasting a single precious drop. 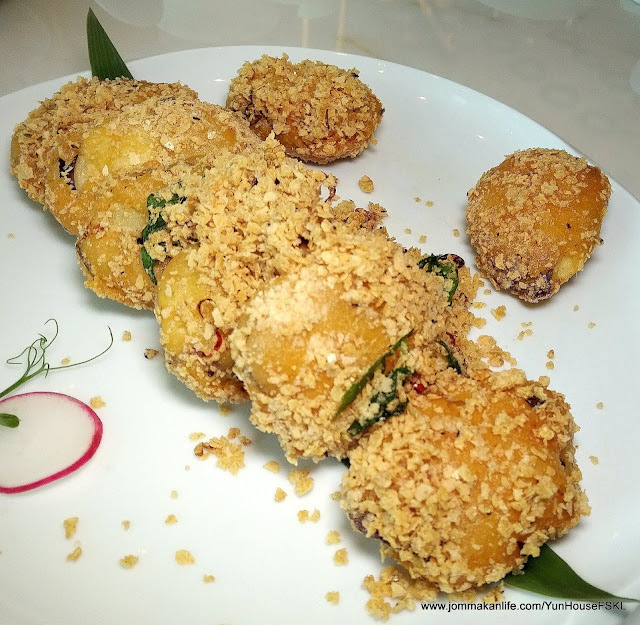 The day's show-stealer was Chef Jimmy’s signature Eggplant with Cereal, Dried Chilli and Curry Leaves. Eggplant is tricky to cook but under the chef’s skillful expertise, the eggplant came sliced and sheathed in an impossibly light batter crisped up with crushed cereal. Enlivened with fried bird's eye chillies and curry leaves for punchy heat and aromatic fragrance, the texture was tender enough to pass off as fish. We also sampled a homespun Braised Wagyu Beef with Radish in Claypot. 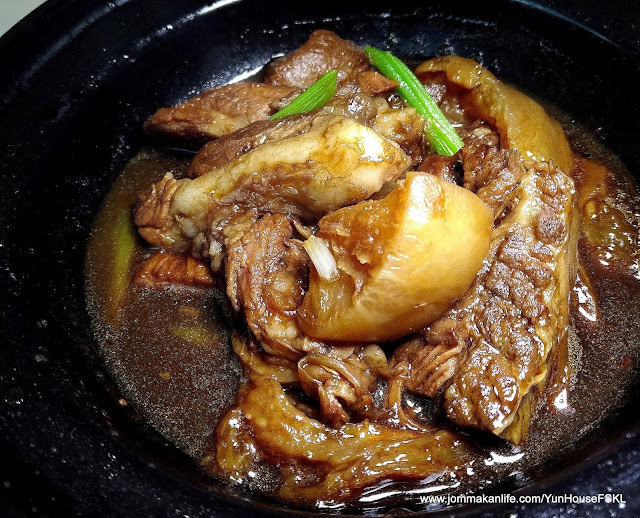 Every mouthful of the meltingly tender beef and radish chunks left our tastebuds suffused with deep, rich meaty savouriness touched by the delicate sweetness of radish. 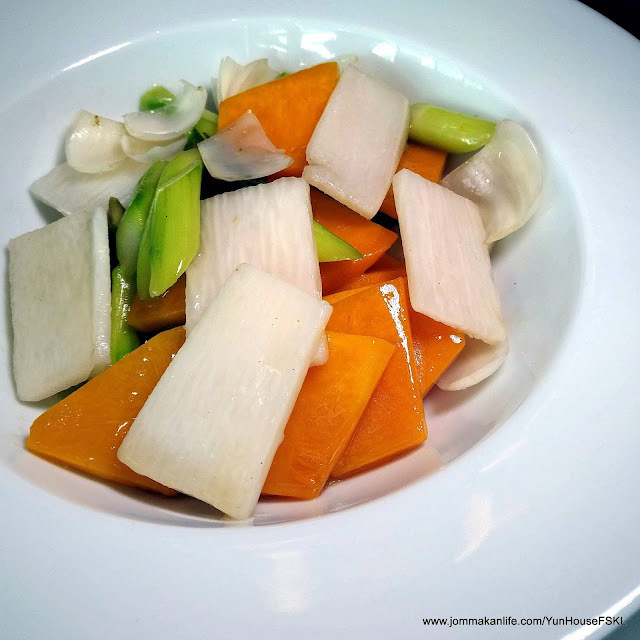 In pleasing contrast was a vegetarian dish of Stir-fried Wai San (Chinese wild yam), Carrot, Asparagus and Fresh Pak Hup (Lily Bulb). 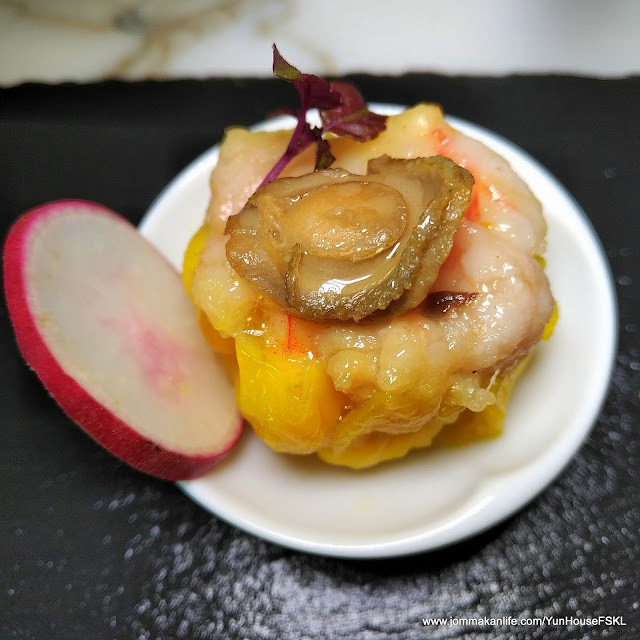 The clear, unadulterated nuances were typical characteristics of highly refined Cantonese fare. Meatless yet brimming with appetite-whetting "wok hei", the delicious Vegetarian Hokkien Style Fried Rice Vermicelli (RM48) was another ace speciality that scored highly with us. Chef Jimmy proves vegetarian dishes are anything but boring when cooked well. Black Glutinous Rice Broth with Vanilla Ice Cream served in a whole coconut brought the curtains down on our luxe lunch. The lush, subtly sweet dessert broth was an apt testament to Executive Chef Jimmy Wong's philosophy of food being the ultimate connector — to our family, our past, our future and different culture.